Click the graphic to view the Red Line Salish Sea press release here. [Note from NWNW Admin, Dena Jensen: Please show up to show your support at the hearing to quash a third warrant issued against the Bellingham #nodapl Red Line Facebook page. 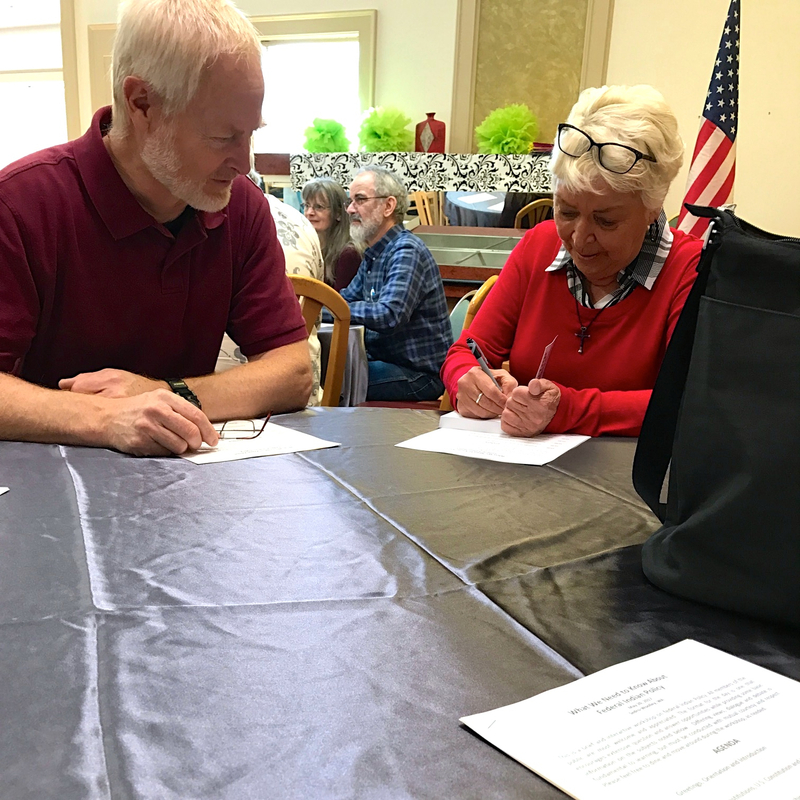 Elaine Willman autographing her book for an attendee, at her May 20, 2017, workshop held in Sedro Woolley, Wa.